The government and the opposition on Thursday agreed to hold a debate on the controversial deal which will see three hospitals transferred from Vitals Global Healthcare to Steward Healthcare. But while the Opposition said the debate should be held within the parliamentary health committee, the government said it should be held in a plenary sitting of the House "as befits its importance". A key difference between the two is that parliamentary committees can summon and question witnesses, but MPs meeting in plenary sittings of the House cannot. In a press conference on Thursday morning, PN deputy leader David Agius and the shadow minister for health, Stephen Spiteri, expressed concerns over the deal while reiterating Opposition complaints that the details of the original government deal with Vitals were never disclosed. Dr Spiteri observed that Vitals had sold its concession for St Luke's Hospital, Karin Grech Hospital and Gozo Hospital to Steward Healthcare after less than two years and transferred valuable hospital assets for just €1. It emerged after the new deal was revealed, that the Vitals CEO was simultaneously working for Steward. Dr Spiteri said there might be a legal basis for the contract with Vitals to be terminated, with the hospitals returning to the government. Asked whether the Opposition was in favour of privatisation, he said it was but only when this was done with transparency and good governance in mind. He also raised concerns on the missed deadlines of VGH. Mr Agius said the Opposition has always insisted that healthcare was in the public interest and could not be reduced to transactions. He asked why Vitals left Malta when it had a 30-year contract with the government, and raised questions on the identity of the owners. He asked whether the sale had been precipitated by planned EU legislation which will lay sown that all beneficiary owners of companies be made public. Mr Agius also asked whether the procedures of public procurement had been accurately observed. In its reply, the government said it agreed with having a parliamentary discussion about the deal, and it was proposing that the debate be held in a plenary sitting of the House 'in recognition of its importance. It said it was satisfied that a company as was Steward Healthcare, with an excellent track record in healthcare in the US, would be running hospitals in Malta. It also pointed out that the complete deal with Vitals was handed to the Auditor General for scrutiny in December two years ago. The Labour Party accused the PN of persisting in negativity and said the investment will breathe new life in three hospitals after years of neglect under the former government. The Opposition first had a problem with Vitals Global Healthcare, because it lacked experience in healthcare, and now it had a problem with Steward Health Care despite its strong health record. 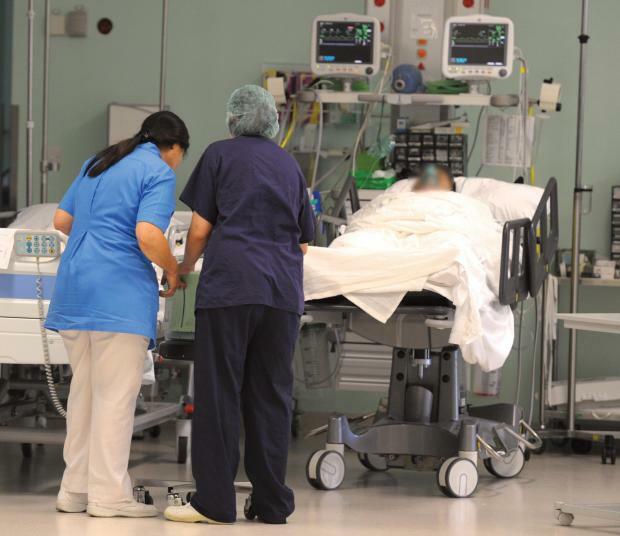 The PL insisted that the deal between Vitals and Steward safeguarded the public-private partnership principles agreed with the government and would yield a better service for patients, free of charge. And yet the Opposition wanted the agreement rescinded. The Nationalist Party said the government, in opting not to go before the Health Committee, was showing it had something to hide. It was showing that it was scared of involving stakeholders and scared of questions and answers. "The Opposition is not against a plenary sitting debate, but it still wants a committee debate where everyone can participate," it said.